Keeping global warming in check will require deployment of carbon-trapping technologies and aggressively moving away from fossil fuels, a major new United Nations report concludes — far more quickly than current forecasts envision. Why it matters: The scientific analysis of what's needed to limit temperature rise to 1.5 degrees Celsius above pre-industrial levels — the ambitious goal of the Paris climate agreement — reveals huge hurdles to avoiding widespread damages from climate change. The big picture: The UN's Intergovernmental Panel on Climate Change finds that to stay within 1.5ºC, net human-caused CO2 emissions must decline by 45% by 2030 compared to 2010 levels, and reach "net zero" by roughly mid-century. "Pathways limiting global warming to 1.5 °C with no or limited overshoot would require rapid and far-reaching transitions in energy, land, urban and infrastructure (including transport and buildings), and industrial systems," it states. Right now the global energy system is nowhere near on track for those kinds of cuts, even as deployment of renewable power, efficiency technologies and electric vehicles grows. The details: The report lays out various "pathways" that would achieve the emissions cuts needed to stay within 1.5ºC or just overshoot it slightly. It models varying amounts of efficiency improvements, renewables' growth, fossil fuel cuts, and deployment levels of Carbon Dioxide Removal (CDR) technologies. CDR is a basket of approaches that includes forest planting and other land-use practices, as well as trapping carbon emissions from power plants and industrial facilities, a technology that remains in its early stages of commercial use. More dauntingly, the report also refers to methods that remain unproven at commercial scale, such as "direct air capture" technologies, and bioenergy with carbon capture and storage. The report found that if CDR is largely limited to forest growth, global coal use must be all but phased out by 2050, and oil's share of global energy falls by 87 percent. Natural gas, while lower-carbon than other fossil fuels, would have to fall 74 percent relative to 2010 levels. In pathways with significant use of other CDR methods, the world would still need to hugely cut the share of fossil fuels in the energy mix, although the stringency is lessened somewhat. Quick take: It's hard to overstate the scope of the energy transition and steep emissions cuts that the report says are needed by 2050. Consider that . . . Global CO2 emissions actually rose in 2017 after a three-year plateau. The International Energy Agency's central forecasts see global CO2 emissions rising slightly through 2040 (the end of their forecast period), and global oil demand growing during that period. BP's Statistical Review of World Energy, released in June, showed that coal's share of the global power mix has remained at 38% for the last 20 years. 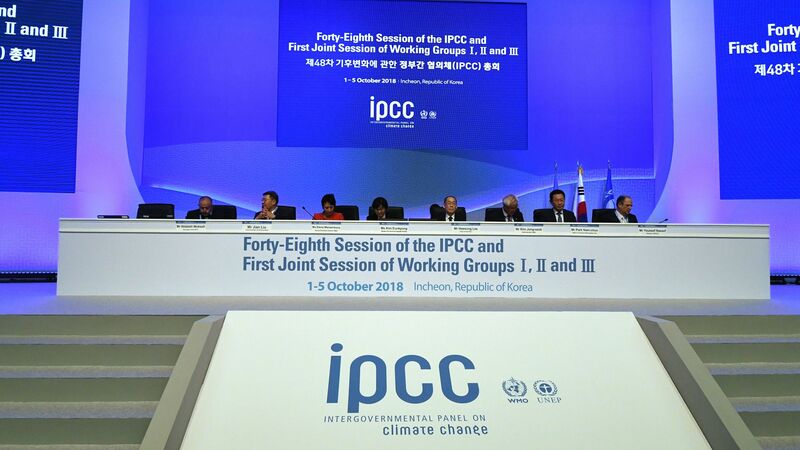 The bottom line: “Limiting warming to 1.5ºC is possible within the laws of chemistry and physics but doing so would require unprecedented changes,” notes a statement from Jim Skea of the Imperial College of London, who helped write the report.